HAMBURG, Germany - Roger Federer may not be playing the clay court season in 2017, but we have more than enough fond memories of him to keep celebrating him anyway - and 10 years ago, on May 20, 2007, he snapped Rafael Nadal’s insane 81-match clay court winning streak in Hamburg. Nadal’s unbeaten run on his favorite surface had been going for more than two years - his last loss had come against Igor Andreev in the quarterfinals of Valencia all the way back on April 8, 2005. 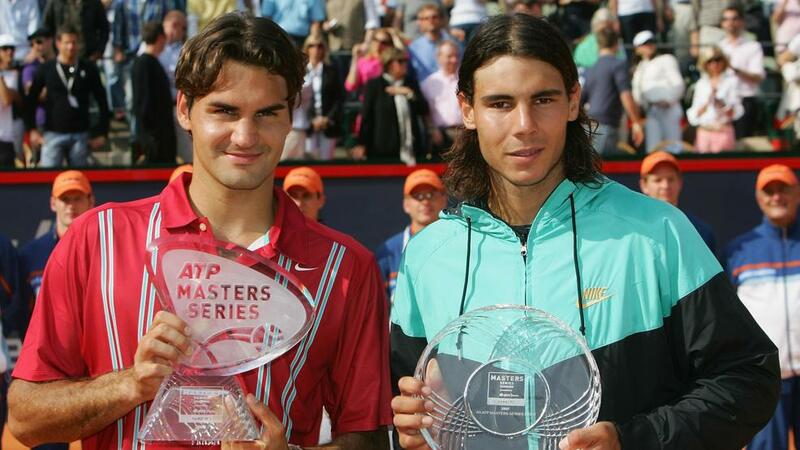 On top of that, he had never lost a final on clay - and he had never lost to Federer on clay, either. And for a while it looked like he would continue all of those streaks. He raced through the first set, 6-2. But Federer mustered up some of the best clay court tennis he’s ever played, rebounding with his own 6-2 second set and then blanking Nadal in the third for a 2-6 6-2 6-0 championship win. A Nadal forehand into the net on match point ended his Open Era record clay court winning streak. “It’s an absolute breakthrough,” Federer said afterwards. “It’s just nice to be playing well again. It’s not that I was playing so badly, but it’s my first clay court title in a couple of years, so that’s great.